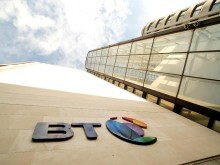 BT today announced the findings of new global research based on a survey conducted by the Economist Intelligence Unit (EIU) with 400 CEOs in 13 countries* across five continents, which reveals the critical importance of digital transformation in multinational organisations. The research shows that nearly 40 per cent of CEOs currently have digital transformation at the very top of their boardroom agenda, with almost a quarter of them personally leading their company’s transformation programmes. There is a high level of confidence — amongst three quarters of CEOs surveyed — that their specific programmes will help them achieve their strategic objectives, which include making operational efficiencies, improving customer service and innovating for the future, with security as a key differentiator. Despite this, 86 per cent of CEOs encounter challenges in delivering the ideal infrastructure on which their digital programmes rely. They identify inflexible technology (43 per cent), lack of technology skills (40 per cent) and security concerns (39 per cent) as the main obstacles in building better digital infrastructure. CEOs highlight better integration, reliability, security and cost effectiveness as being the most critical factors needed to deliver the infrastructure which will build the digital business of the future. When it comes to achieving their digital ambitions, more than a quarter of CEOs regard security as a key differentiator. This view is especially prevalent in consumer-facing sectors, rising to almost 50 per cent for CEOs who operate in the financial services industry. Despite this, 22 per cent of CEOs view cybersecurity measures as a ‘necessary evil’. The findings suggest that, while CEOs feel perceived security risks should not hold back their digital transformation progress, they nevertheless continue to view security as one of the chief barriers and concerns when considering a digital strategy. Customer service — and specifically the digital customer experience — is seen by the survey respondents as highly important, with 79 per cent of CEOs saying they already offer a “good” or “excellent” digital customer experience today. However, barriers remain in the form of insight into what customers actually want and the technology skills required to deliver this. CEOs display a similar level of confidence in the digital experience of their employees, where their focus is on retaining talented employees, increasing innovation and reducing costs. The research also revealed that CEOs regard the Internet of Things (IoT), cloud computing, mobile computing and social media as the technology trends which are likely to have the most significant impact on their organisations over the next two to three years. In summary, the research shows that there is sustained focus on digital transformation at the very top of global organisations. While confidence is high, the research also reveals areas that CEOs and CIOs need to work on together, primarily around security, infrastructure, technology skills and customer insight. The opportunity to evolve businesses through digital technology continues to grow and many organisations are actively looking at the methods by which they can gain competitive advantage. 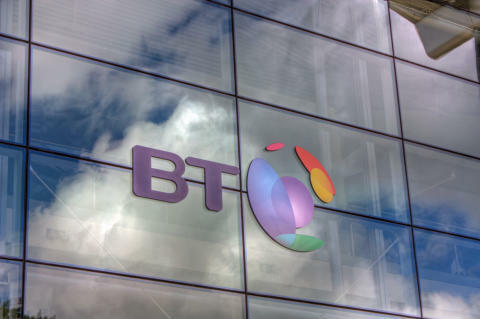 In addition to the research report, BT has created a series of whitepapers covering the issues identified by the survey around the themes of security, digital business, digital customer and digital employee. These whitepapers include practical recommendations on how customers can move along their digital transformation journeys. To find out more and download that content, visit www.bt.com/digital-ceo. This Digital CEO research is based on a survey of more than 400 CEOs conducted by the Economist Intelligence Unit and insight from BT’s digital transformation experts. The sample spans 13 countries: Australia, Brazil, France, Germany, India, the Netherlands, Singapore, South Africa, Spain, Switzerland, the UK and Ireland and the USA and involved CEOs of businesses with revenues of $500m or greater. Sectors covered by the research are manufacturing, energy & resources, financial services, travel, transport & logistics, retail, consumer goods, and automotive industries. The Economist Intelligence Unit is the world leader in global business intelligence. It is the business-to-business arm of The Economist Group, which publishes The Economist newspaper. The Economist Intelligence Unit helps executives make better decisions by providing timely, reliable and impartial analysis on worldwide market trends and business strategies. More information can be found at www.eiu.com.